Congratulations! If you are reading this article, then you should be proud of the fact that you have not been executed in the zombie-eat-person world of Last Day On Earth: Survival. While army drops, crashed planes, and the Alpha base were essential aspects of your gameplay, handling weapons must have been the most exciting part. The game throws every kind your way; everything from the Spiked Devastator to the Skull Crusher will have you intrigued. The million dollar question is, how do you use them? Bring your questions because here, you will find all the answers that you need about weapons. Lots of weapons. This is your lucky day, we have many extra tickets that are available for you. Although you may be lucky enough to find a variety of weapons by searching different avenues of the game, you are required to craft your first three basic weapons; a hatchet, pickaxe, and spear. It does not matter whether you will hunt or kill to gather the resources that will enable you to craft these must-have items, they will make your life easier. Apart from these basics, there are also a handful of other weapons to be explored. Picking your favorite tools may, in fact, be the easiest part of the game. 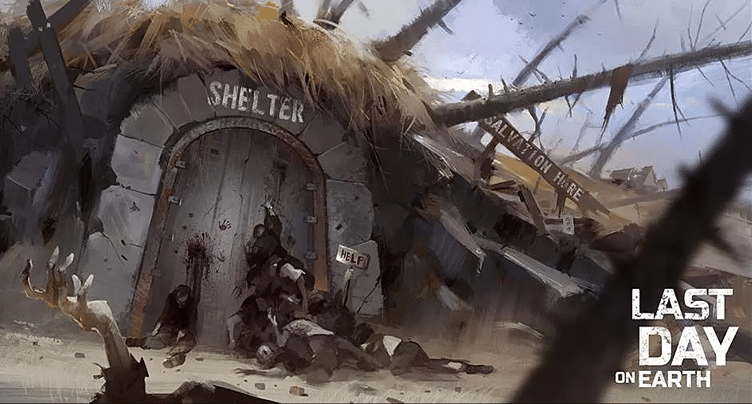 However, Last day on Earth: Survival is known for crafting requirements that every player has to adhere to. You have to get to a specific character level and a variety of skills in order to unlock many of the items that are available during your gameplay. The materials that are used in designing the weapons are also required. Worry not, we have broken down everything for you! • There are weapons that cannot be crafted regardless of your character level. Last day on Earth: Survival places these weapons in crates, bags, and corpses. They can also be purchased through a trade. • Although a variety of these weapons are in a grab-bag and are spread out all across the map, there is a single weapon that is often found in the same location in a new game at every time. This is referred to as a spawn location. • You can always further your gameplay by picking up the available in-game packs that are available for purchase. • Your gun is not the only ammunition that you have. Each of these weapons is designed to help you out in different stages of the game. Depending on their level of damage, each weapon can be used to your advantage. Once you take the time to understand the weapons that are at your disposal, there will be a greater chance of success for you. This will not only make the game more interesting but also enjoyable.